It is retaining activity against the uropathogen E. coli while drugs like SMX-TMP and ciprofloxacin are getting worse, but when should you avoid nitrofurantoin? This article discusses the topic. Comparing fluoroquinolones, sulfamethoxazole-trimethoprim, oral beta-lactams and nitrofurantoin here, the choice is clear that nitrofurantoin is the best option for empiric therapy (i.e., before susceptibilities are known). Combine this information with the fact that the FDA has released additional boxed warnings on fluoroquinolone and recommendations against their use of for uncomplicated cystitis, and many organizations are looking to use nitrofurantoin over fluoroquinolones whenever possible. Experience with placing nitrofurantoin as the preferred agent over fluoroquinolones for acute uncomplicated cystitis was recently published in an article by Peddle and colleagues in April 2017. In their retrospective pre-intervention (2003-2007) / post-intervention (2007-2012) study including over 11,000 E. coli isolates they found a decrease in fluoroquinolone use, decrease in fluoroquinolone resistance, and no change in nitrofurantoin resistance. Such data further supports the use of nitrofurantoin as a preferred oral agent in uncomplicated cystitis. So, if nitrofurantoin has such good things going for it, then an important question you may ask is: when should I avoid nitrofurantoin? Here I provide some of the times when you should consider avoiding nitrofurantoin. It should be noted that this is not an all-inclusive list and this information is provided to stimulate conversation on the topic, not to replace sound clinical judgment. It needs to be stated and it always needs to be the first point. A positive urine culture is not the same thing as an infection and patients with asymptomatic bacteriuria infrequently require antibiotics. Nitrofurantoin should be avoided if no antibiotics are indicated. You can read more about asymptomatic bacteriuria here in the Infectious Diseases Society of America Guideline. We do not always have microbiology data to help taylor the choice of therapy, however we need to review the medical record to ensure any existing data is taken into account. If the organism is documented resistant to nitrofurantoin, then this drug is not an option. It may seem simple, but this is an important point to remember not to overlook. For a long time there has been a debate regarding when to avoid nitrofurantoin in patients with reduced kidney function. Many providers held the cut-off at 60 mL/min, with the concern that there may be less efficacy and/or more toxicity. Due to the fact that nitrofurantoin only achieves therapeutically active concentrations in the lower urinary tract, it is considered a poor choice for upper urinary tract infections (e.g., pyelonephritis). Whether or not nitrofurantoin can be used for complicated urinary tract infection is an area of debate, particularly for male patients in whom urinary tract infections are always considered complicated by definition. Today, many providers will consider nitrofurantoin as a potential option in male patients with lower urinary tract infection. When considering nitrofurantoin for male patients, if the patient is suspected to have acute or chronic prostatitis, nitrofurantoin is likely not a good option. Nitrofurantoin does not achieve therapeutic concentrations in the prostate. 5. When the patient is 38-42 weeks pregnant? The nitrofurantoin package insert states that the drug is contraindicated for patients that are 38 to 42 weeks pregnant. So what’s the verdict? Well, it seems contraindicated may not be a fair label, however it is a good reminder that each case is unique and the risks versus benefits must always be weighed prior to making a final decision. This point has to do with toxicity. Going back to the 2015 Beers Criteria, the warning is provided to avoid nitrofurantoin for long-term use due to concerns for irreversible pulmonary fibrosis, liver toxicity, or peripheral neuropathy. Somewhat related, in patients with complicated underlying disease states that could be worsened by potential nitrofurantoin toxicities, it is worth considering whether or not nitrofurantoin is an appropriate drug to select. 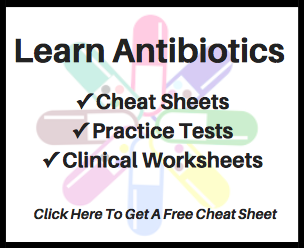 Nitrofurantoin is a drug that many should consider amongst the first options when selecting an antibiotic for urinary tract infection. Identifying the limitations of nitrofurantoin is necessary towards ensuring it is used appropriately and safely. 1. Huttner A, et al. Nitrofurantoin revisited: a systematic review and meta-analysis of controlled trials. J Antimicrob Chemother. 2015; 70: 2456–2464. 2. Muller AE, et al. Nitrofurantoin‘s efficacy and safety as prophylaxis for urinary tract infections: a systematic reviewof the literature and meta-analysis of controlled trials. Colin Microbiol Infect. 2017; 23(6): 355-362. 3. Nicolle LE, et al. Infectious Diseases Society of America Guidelines for the Diagnosis and Treatment of Asymptomatic Bacteriuria in Adults. Clin Infect Dis. 2005; 40: 643-654. 4. Price JR, et al. Nitrofurantoin vs other prophylactic agents in reducing recurrent urinary tract infections in adult women: a systematic review and meta-analysis. Am J Obstet Gynecol. 2016; 215(5): 548-560.